Fun Fact: Much like a Frankenstein Monster, Duel got dug up and pieced together into an episode of the Incredible Hulk about a decade later. Another: The roaring sound effect Spielberg used at the climax was taken from an old monster movie (IMDB says Creature from the Black Lagoon, but some “making of” documentary I once saw showed dinosaurs). Spielberg himself recycled the roar for the climax of Jaws. 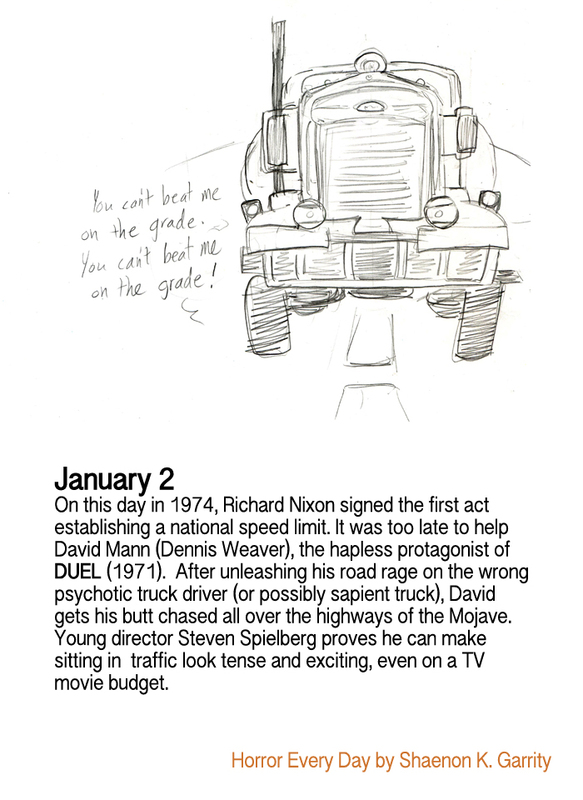 Next to The Night Stalker (1972), Duel is probably one of the best Made-for-TV movies ever shown.